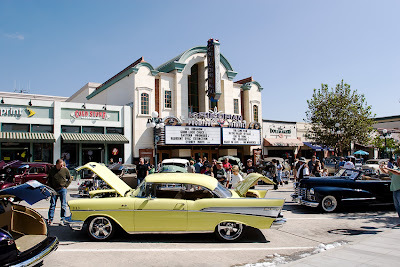 I realize this is 3 days of car show photo's in a row but I find the show both nostalgic and photogenic. I hope no one minds too much. Here's some bonus info: That little bit of snow in the foreground is leftover from filming a Christmas episode of the new t.v. show "October Road" the night before.